Maximum Results coaching franchises now available! An opportunity to become a successful life or business coach with Maximum Results! With all the advancements with technology, people are thriving on amounts of information available at our finger tips. There are many people with brilliant minds that don’t have an outlet to release their ideas and philosophies. Other people have a knack for assisting and motivating people to succeed with business ventures based on personal experience, or have been blessed to change another’s life by building people up, instead of tearing them down. Now that people have access to share their knowledge and build people up with technology, it becomes a win-win situation for those starving to build businesses for success and turn lives around. Information and technology have come together to offer a solution to individuals that desire to become a growing professional. Unfortunately, these people are at a dead end for professional development, and that’s where you can be a relief and support these strong willed individuals on their ventures. 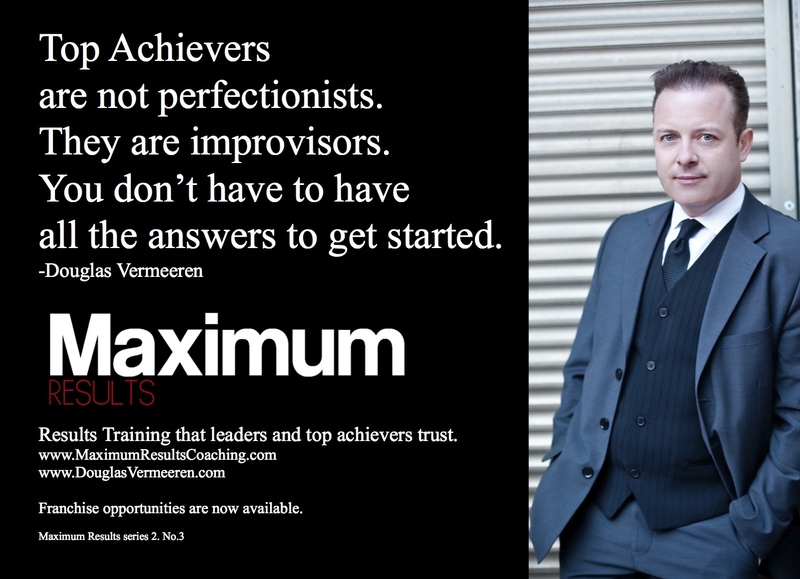 Maximum Results coaching is a full on franchise to pair people that are gifted and can help professionals become successful stewards of their company. This franchise opportunity isn’t a cookie cutter approach to solving a problem. The foundation of the franchise was built upon from Douglas Vermeeren’s research. He is the single most important personal development, subject matter expert of our time that has proven to help people succeed in life. The franchise has a tight record over the last decade and has high impact results, and the content utilized is so effective that Vermeeren’s success had a deep dive interview from some of the media’s biggest names like FOX, CTV, and CBC. 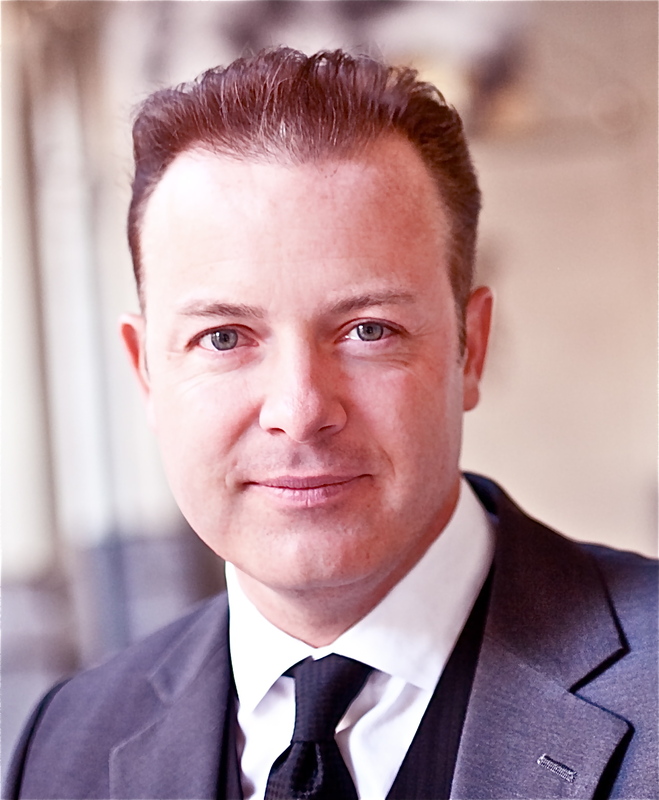 Vermeeren’s success has been ingrained in the Maximum Results franchise with a business system within the personal development framework that is able to generate a sustainable and growing income stream. 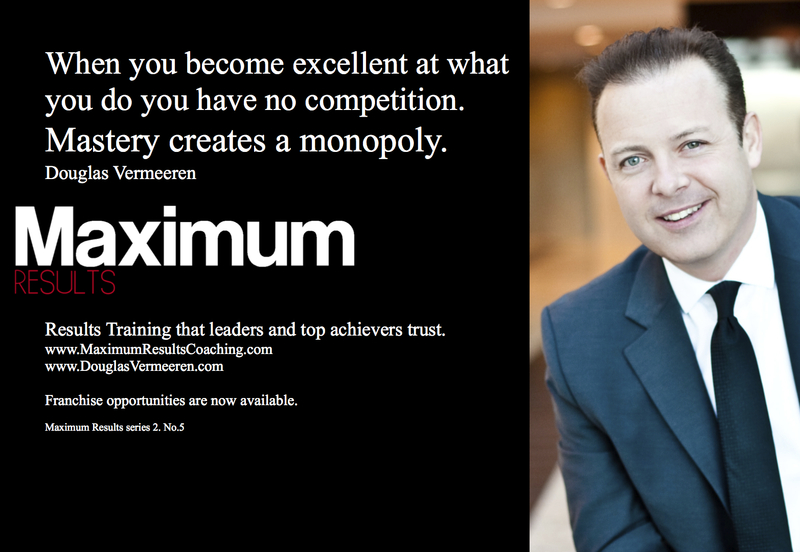 The Maximum Results program infrastructure utilizes the successful approach that Vermeeren established. The Maximum Results Franchise opportunity will allow you to wash, rinse, and repeat success for yourself and for those that you support. Again, there are millions of business owners that are thirsty for success and don’t know where to go to help them put their ideas in motion. 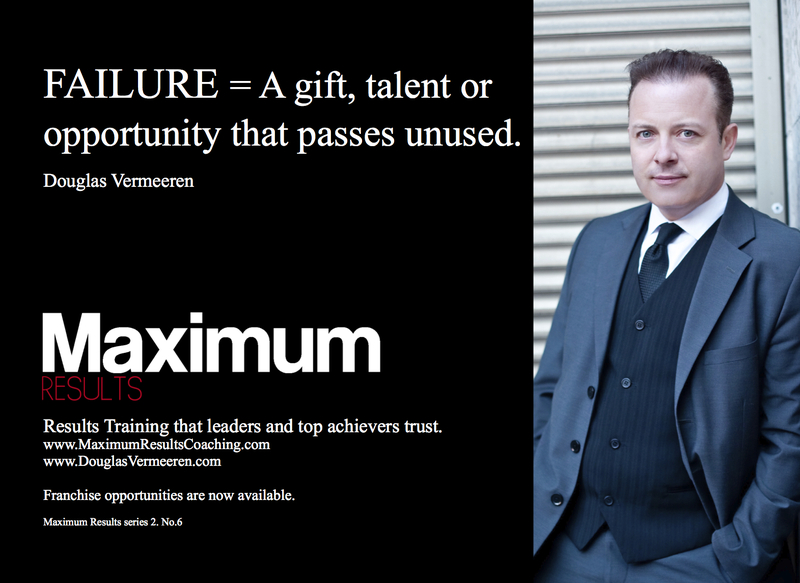 The Maximum Results brand is the most reliable and credible name in the personal development realm. 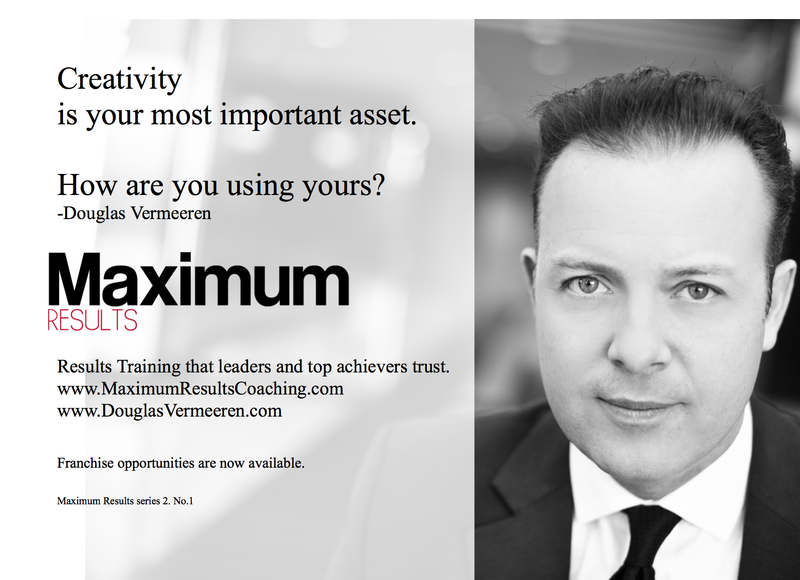 Douglas Vermeeren actively promotes the brand with multiple media outlets and has seeded his name deeply within the many facets of business development and life success. This media recognition alone should allow you to open the flood gates of success and pour guidance onto those that are seeking the knowledge, support and vision to become a business powerhouse in their field. The knowledge, experience, and planning that has been injected into the Maximum Results franchise is priceless and you will not be able to get this model from any other company. Becoming a life or business coach can put results and money into the pockets of those you coach but what about you? 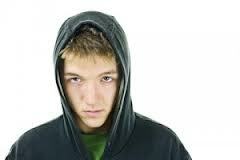 As a Maximum Results franchisee you will be able to establish a secure source of income and a stable career. The franchise itself is a success just based on the superior content alone. Maximum Results arms their franchise owners with knowledge and strategy for success. All of the tools and business concepts are already created for high performance results. Any Maximum Results franchisee can tune and mold the franchise to help them succeed so you will only be a better, stronger business professional. We would lie if we said we weren’t unique, in fact every franchise is unique if you think about it, but this one has been created for success and not for a “sink or swim” mentality. Those that qualify to start the Maximum Reality Franchise will also have ongoing professional development through our training platform that gives you the edge. We aren’t like others that get you started, pat you on the rear and say “good luck!” We are driven by success and if you succeed we have met our goal, and will continue to support your franchise endeavor with customer service tools to help you succeed. Our well connected corporate team can give you the outlets you need to affiliate with other well-known brands. We even offer payouts to help people, and to have fun. 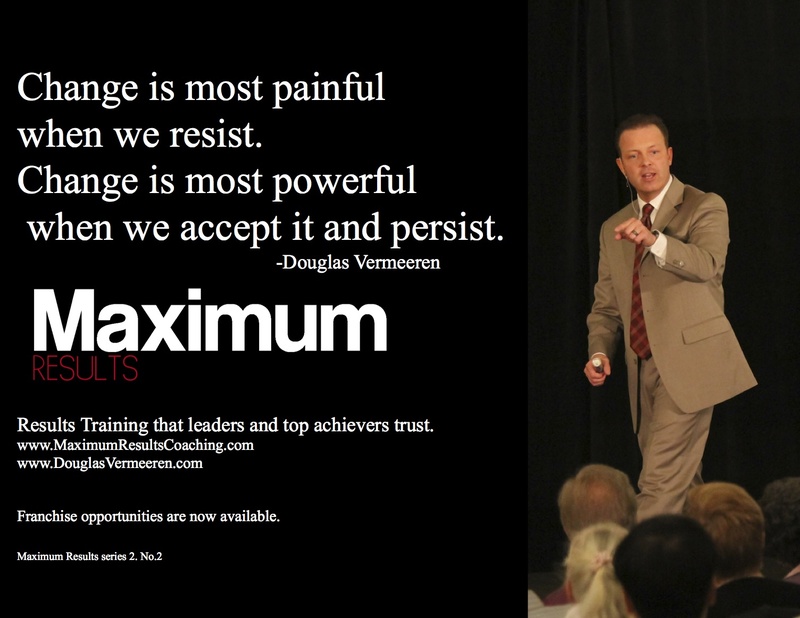 Change is most painful when we resist. Do you agree or disagree with this post? And if you agree why do think that Creativity is the most important asset you can have?